Twenty ‘insufficient’ apprenticeship providers have now been banned from taking on new starts as Ofsted’s scrutiny of new providers continues. Four new providers have been added to the barred list in the latest update to the register of apprenticeship training providers, published today, after making poor progress in at least one area monitored by the education watchdog. 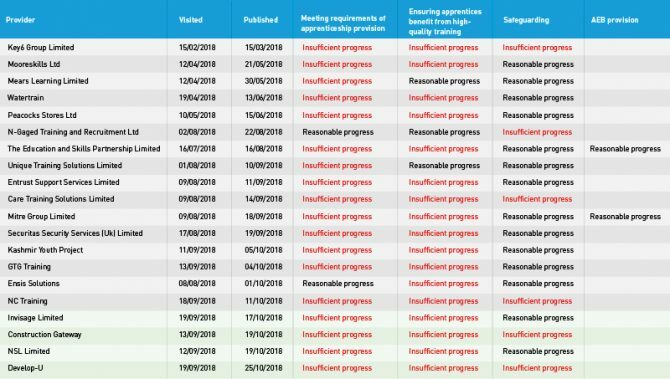 The update means the Education and Skills Funding Agency has temporarily barred all 20 providers who have been judged as making ‘insufficient’ progress by Ofsted in reports published up until October 25. Two of the providers to face the ban – Construction Gateway and Develop-U – received ‘insufficient progress’ judgements in every category. Bedfordshire-based Construction Gateway was criticised for not improving the quality of teaching or sufficiently challenging apprentices, with assessors said to “solely focus” on completing workshops and task sheets and “too many” agency staff not having up-to-date safeguarding training. And inspectors found that “disruptive behaviour” and poorly motivated apprentices at Rotherham’s Develop-U was impeding the “progress and prospects” of apprentices, who “repeatedly” fail English and maths examinations. Safeguarding was also an issue at Develop-U, when during the visit “inspectors became aware of an at-risk apprentice about whom leaders were not aware”. Also banned are Invisage and NSL, which both received two ‘insufficient’ ratings. Inspectors warned that managers at London-based Invisage had not “implemented the apprenticeship standards well enough” or ensured apprentice make good enough progress. Apprentices at Slough’s NSL were found to be making “slow progress”, and leaders and managers were criticised for not having “sufficient oversight” but were commended for their “vision and ambition”. Guidance published by the ESFA in August confirmed that any provider making ‘insufficient progress’ would be barred from taking on new apprentices, either directly or through subcontracting arrangements. These restrictions will continue until the provider receives a full inspection and been awarded at least a grade three for its apprenticeship provision. Full inspections should take place within a year of the monitoring visit. The ESFA can overrule this guidance, but only if it “identifies an exceptional extenuating circumstance”. The banning of these providers is the fourth group to be announced. 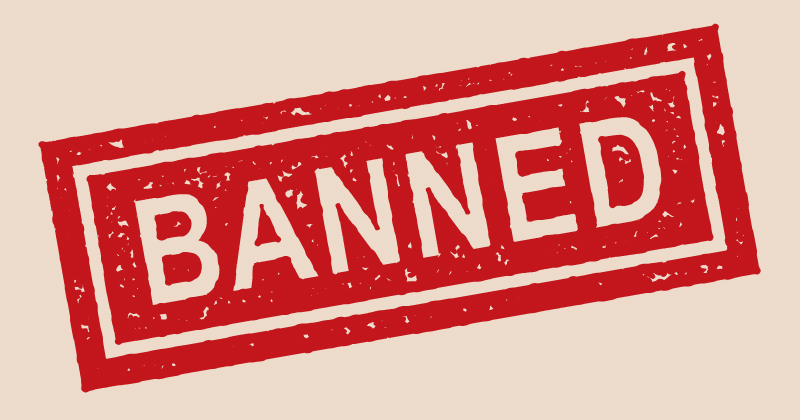 Ten providers were banned in October – in a group of six and a later group of four – and another six providers were banned in September.